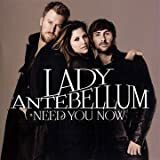 “Need You Now ” is a country pop song performed by American country music trio Lady Antebellum. The band co-wrote the song with Josh Kear, and produced it with Paul Worley. It serves as the lead-off single and title track to their second studio album, Need You Now, which was released on January 26, 2010. The song was their debut single in the UK and Europe and was released on April 26, 2010. It won four Grammy Awards in 2011, including for Song of the Year and Record of the Year, the first country song to win both honors since 2007, and only the second ever. The song spent five weeks at No. 1 on the Billboard Hot Country Songs chart in late 2009. Thereafter, “Need You Now” crossed over onto various pop and adult contemporary music charts, becoming a top five hit in Canada, Ireland, and New Zealand, as well as a top ten hit in the Netherlands and Norway. The song won Single of the Year and Song of the Year at the 2010 Academy of Country Music Awards, as well as Group Video of the Year at the 2010 CMT Music Awards. For the chart week of March 30, 2010, the song became the group’s highest charting single on the Billboard Hot 100, reaching No. 2, the best position for a country song on that chart since Taylor Swift ‘s ” Today Was a Fairytale ” reached the same position the previous month. The single has been certified sextuple platinum by the Recording Industry Association of America (RIAA).A music video was shot for the song, directed by Dave McClister. In the video the song has an extended piano intro, and features all members of the group acting out scenes related to the storyline. The song was initially released only to the country radio format in the United States and Canada on August 24, 2009, but was remixed and re-released to all other formats domestically and internationally at the beginning of 2010. The song gained prominence internationally, in Europe and South America. The trio re-recorded the song again in Simlish to accompany the release of the Sims 3 expansion pack Ambitions. By April 17, 2011, the song became the 9th most downloaded song in history, moving 5,000,000 copies, and surpassed Taylor Swift’s ” Love Story ” as the most downloaded country song in history. 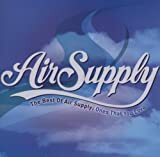 It has since sold over 6 million copies in the US.The song was used in television series such as Hellcats and The Glades. 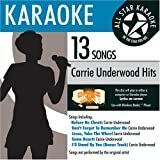 “Need You Now” has also been covered by several artists, including Adele with Darius Rucker, Boyce Avenue and Glee Cast. “Weird Al” Yankovic included the chorus in ” Polka Face “, the polka medley from his 2011 album Alpocalypse. When you would want to begin learning pop piano, remember that there’s still a big expense involved in investing in a new piano or taking new keyboard lessons. Save a lot of cash purchase purchasing your method books as online material and by getting a keyboard as opposed to an acoustic instrument. The beauty of studying piano is simply how much it impresses your friends and colleagues when you can practise a renowned song.